You believe you’re making the most of your workforce. You don’t see much room for managerial improvement. You’re not interested in business growth. If you answered false to any of these questions, it’s time to advance your workforce. And that starts with improving your management. 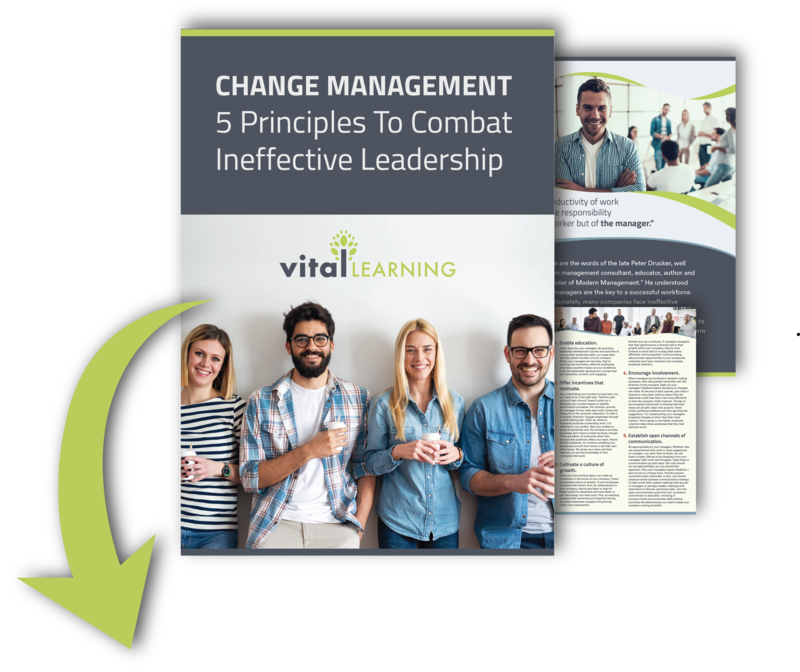 Download your complimentary copy of Change Management: 5 Principles To Combat Ineffective Leadership to learn about transforming the way your managers operate. When you enact these five principles, prepare to see change in your management and benefit to your business. Enter your information to download your free copy.